Our trip would not have been the same without this amazing app. From established campgrounds to super secret remote wild camp spots this app has it all. It even includes, up-to-date information on border crossings, vehicle insurance, tourist attractions, vehicle shipping and much more. BONUS: It works offline and it’s FREE! From one overlander to another, please use responsibly. Let us start out by saying that this map app is by no means perfect. It will require you to use common sense and we strongly advise that you check the route against a paper map or consult with a local before going down roads that seems dangerous. With that being said, this app is amazing and it is also free and works OFFLINE! They update the maps pretty frequently and include walking, bus, and subway routes. Best of all, this app has a plugin with iOverlander, so once you find a destination in iOverlander you can click on the maps.me function and it will take you to the listed coordinates. We had never used Airbnb before our Pan-American trip, so you can imagine we were pretty nervous to use it for the first time internationally. We had great success using the app, finding incredible places to stay and best of all meeting and in some cases spending times with incredible hosts. Below are links to some of our favorite spots. Buenas Aires, Argentina – After staying in a not-so-nice apartment in BA, we decided to find a new place. We were totally blown away by this apartment. Great location, incredibly friendly host and a great price. View On AirbnbMy House de Balvanera, Centro de la Ciudad. We are both religious users of Pandora. However, Pandora’s biggest weakness is that is does not work internationally. 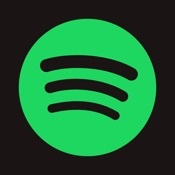 While on the road, we met other travelers who encouraged us to download Spotify in the off chance that when we would have strong enough wifi to stream music, Spotify would get the job done. In my opinion, it is not the most “user-friendly” app out there, but it does have an amazing selection of music and it now streams podcasts. Best of all, we can easily follow our favorite playlist, created by a fellow traveler on the road. Thank you Max! There is not much to say about this app, other than……it’s free, it’s amazing and just download it! Obviously, it’s not 100% accurate, but we found it to be a very useful tool, especially since it works offline!